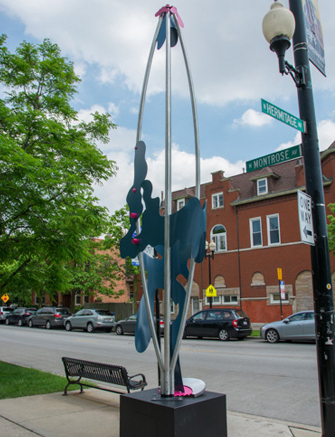 Yost is a Chicago-based sculptor who was trained in Illinois at both the School of the Art Institute and Northern Illinois University. 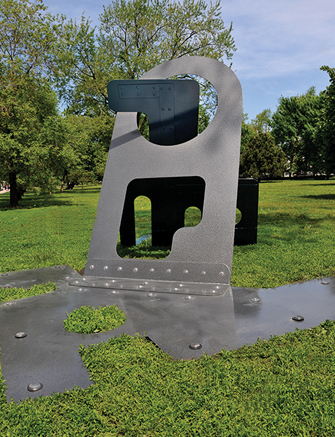 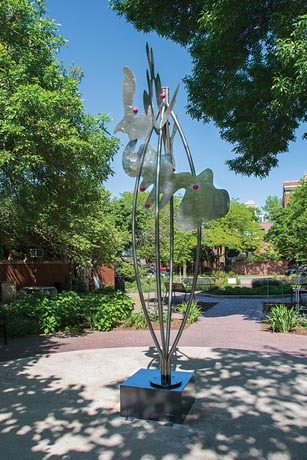 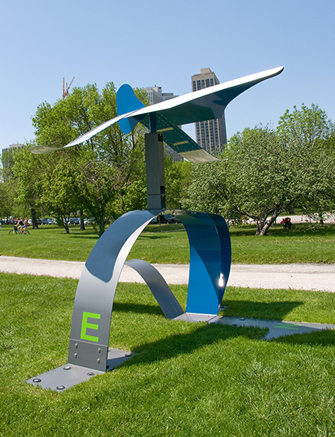 In his works, which have been displayed in Illinois, Wisconsin, and Tennessee – Yost seeks to embody both geometric and organic elements. 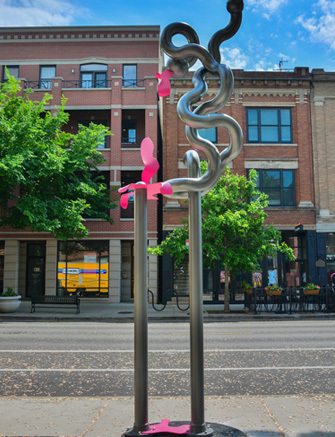 This piece, entitled “Windy City Wind Sock, Stealth-Drone” encompasses both elements: that infamous Chicago wind, and curved as well as sharp, harsh lines of its architecture. 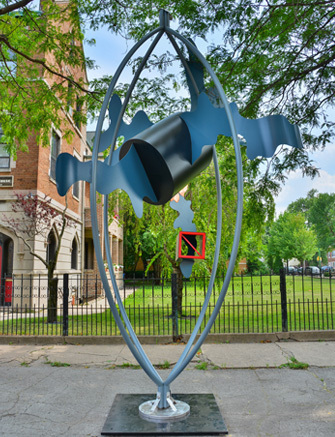 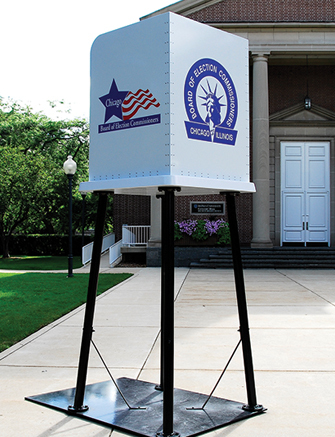 “Windy City Wind Sock, Stealth-Drone” operates much like a fabric wind sock, turning with the direction of the wind and noted by the directions displayed on the its base. 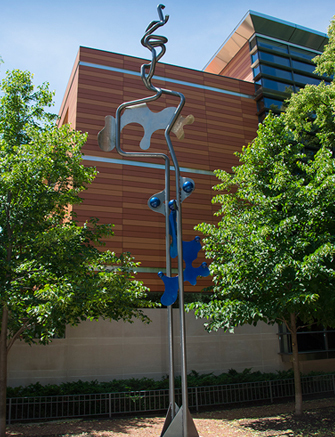 However, Yost reminds us with his title to remember that what looks innocuous or even fun may be far more sinister.